Is simpler than any alternative. Makes swimming enjoyable and deeply satisfying. But the one thing TI has not been is available to people who were afraid of the water or who couldn't swim at all until now. Happy Laps is the first TI self-help tool to address the real basics: how do I swim without fear of sinking, how do I breathe in water, and how do I move with such efficiency that I will be able to swim graceful, nearly effortless laps for health, fitness or pleasure with absolute comfort and confidence. 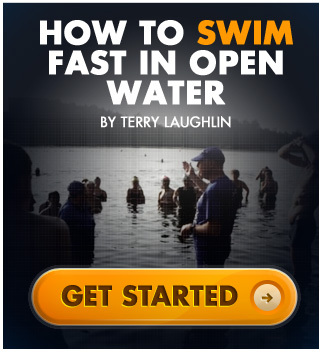 This self-teaching video offers a simple, clear, common-sense approach to learning to move through the water easily, comfortably, and so pleasurably that your practice time becomes the healthiest, most rewarding, part of your day. Happy Laps will show you, step by step, a completely fresh way to move through the water, a way I guarantee will make swimming easier than anything you've tried before. Happy Laps is "Child's Play"
Kids have always had the right idea - swimming is just another form of play. In their water play, they gain an instinctive understanding of the freedom and flow that being nearly weightless offers. Adults play too little and worry too much about getting it right, making improvement a struggle instead of a pleasure. Happy Laps is a series of thoughtfully-choreographed learning games and self-awareness exercises that will let you learn (as opposed to teaching you) how your body naturally behaves in the water, and how to become perfectly comfortable with that. Think of these exercises as structured playtime, a more organized path to learning what child's play at your local pool would have taught you years ago. Most important, in Happy Laps there's no right or wrong, just mindful movement and what you learn from it. Simply do each step with an open and curious spirit to discover how your body really behaves in the water and how to use that knowledge to advantage. The eight exercises in Lesson One will help you develop a comfortable, trusting relationship with water, understand its properties, overcome common fears, and build confidence. You'll let the water do what it does naturally, while you calmly experience how your body behaves in a fluid. In Lesson One, you'll also learn how to breathe comfortably in the water and how it feels to glide short distances effortlessly. The 10 Lesson Two exercises show you how to position your body and distribute your weight to get the water to support you completely and effortlessly. Your partner will become even more valuable in aiding your comfort, control and learning as you learn to float in the first four exercises. If you're an adult and haven't yet learned to swim comfortably, it's not likely you can persuade your rational mind after all these years that you can get the water to support you. Here you simply do floating exercises over and over, with help from your partner, until you know in your bones that the water will support you every time. Having experienced the freedom of weightless, effortless movement, the eight Lesson Three exercises will teach you a swimming style that will be easy to learn so you can quickly begin gaining all the benefits and pleasures of graceful, relaxed laps. These skills will also serve as the perfect foundation for learning advanced strokes with habits of flow, efficiency and ease, rather than struggle. In the Happy Laps program, you'll be freed from the pressure to swim right or to go fast. Experiment with each exercise for as long as you want, repeating it as many times as you want. Your goal is not to do them correctly but to do them in a relaxed and fluid way, to turn each exercise from unfamiliar and possibly a little awkward, into smooth and easy. Learning to swim this way will also put you in a frame of mind to appreciate the value of practicing swimming in the mindful spirit of yoga and tai chi. We've consciously designed Total Immersion to be practiced as a "moving meditation"in the same way as yoga and tai chi. And once you begin swimming mindfully, you won't want to swim any other way. If you thought you'd never learn to swim, Happy Laps will teach you how. We guarantee it.